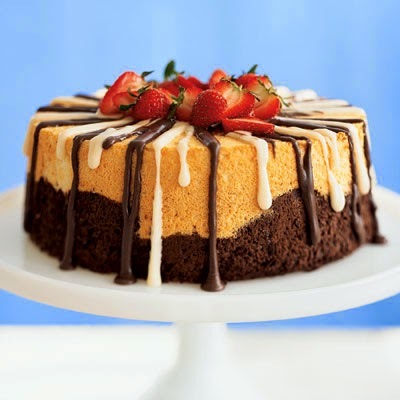 I love the light and airy texture of angel food cakes and this Black & White Angel Food Cake recipe from Cooking Light would be a wonderful Easter dessert. Click here for the recipe. Cake flour is a must for a tender cake because it's lower in gluten and is finer than regular flour. Under-whip the egg whites for a loftier cake. Separate the eggs while they're still cold and then bring to room temperature before using (approx 1 hour). 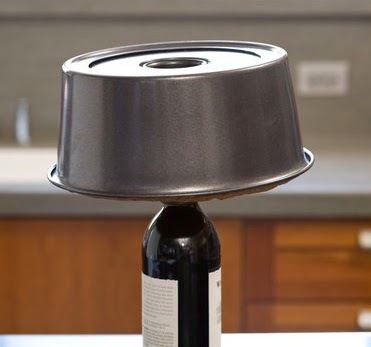 Cool the cake upside down until completely cooled so it's not crushed by it's own weight.